It has been a long while since I last published an article. I got momentarily “sidelined” because of so many activities I do, like organizing tours for Filipinos living here in Madrid. During the past months, I published write-ups on a regular basis but, the last three months had been extremely hectic for me. I have taken Filipinos to Lourdes, France; Fatima and Lisbon in Portugal; to famous cities here in Spain like Barcelona, the most cosmopolitan city in Spain and site of the 1992 Olympics and many international events; Valencia, where the world-renowned “Las Fallas” celebration is held and where the largest Oceanarium in Europe is located. I led a group to “Valle de los Caidos” (Valley of the Fallen), the burial ground of those who fought during the Spanish civil war in the 40’s and where Spain’s dictator Francisco Franco is buried. We had a bus trip to the snow town of Navacerrada; to the town of La Granja, the hunting town of King Philipp II in the 15th century. We have travelled to the Monastery of El Escorial, where the members of the Royal Family of Spain and Royal blood relatives are buried; I have toured Filipinos in Avila, a walled city, and famous for being the birthplace of St. Teresa of Avila; we have gone to Segovia, known for its Aquaduct, built during the time when the Romans occupied Spain. The structure of the Aquaduct was constructed in such a way that the blocks of stones – some weighing at least 500 kilos or more, had been piled up one over another – even forming an arch – without the use of any cement. An incredible Roman structure. The trips to Lourdes and Fatima were in a sense religious pilgrimage. Lourdes is where the Virgin appeared before St. Bernadette in February 1858. Until now, the body of St. Bernadette, buried in the north part of France, remains uncorrupted despite being dead for over a century now. In Fatima, the Virgin appeared before three farmer’s children Lucia, Jacinta and Francisco, between May and October 1917. Both are holy places and you feel a huge amount of “holiness” while visiting them. What I would like to share with you now is not about those places I have visited since you can find more information browsing the Internet than from what I write. What I wish to tell you now is about those Filipinos who have gone to immortalize their visits to these cities I have enumerated. It is very interesting to observe the conduct of Filipinos to record their stay. Travelling, Filipinos are pure and simple “photo addicts”. Smile!, Say Cheez, Say Pa..ta..ta! Ready, one two three!.. This is what you usually hear from tourists/people calling out before the camera shutter is pressed to take a photo of someone or a group of people, all for the purpose of “immortalization”. Pictures make events, people, everything around us “alive”. Without a picture, how can we ever learn of the past? How can we reminisce the birthdays, weddings, travels we had, how can we see places we have not visited if not for the photos taken? A photo is a necessary element in our lives – an important mode of communication that illustrates everything we want to be reminded of in the future. Filipinos are indefatigable and incessant photographers and posers when it comes to immortalizing their visit to a new place as well as during events and occasions. A picture tells us a lot of stories, it tells us the kind of and what is a person like and how a person looks like. A picture is never hiding, never concealing, unless it has been purposely truncated, which is being done by famous actors or actresses who wish to “hide” their “real natural look” for fear that their true physical appearance would be discovered by their fans, and the consequences could be terrible for them. Pictures cannot talk but the “sound” they emit are loud enough to be heard because they speak a lot about us, about events, they tell us everything we need to know about something about someone. Pictures indeed immortalize our mortality. Not all though like to have his/her photo taken. Some would rather keep their looks for themselves and do not wish to be recalled of the way they were in the past. Filipinos are not camera shy. Are you camera shy? Well I hope not. But I am camera shy, or it is just that I am not fond of being in a photo. I would say that I am more of a cameraman than being the objective of the camera. It is not that I do not fancy posing before a camera but, perhaps I would rather be on the sideline and not at the centerline. Filipinos are very enthusiastic people when it comes to photo shooting. They’ve got incredible artistic skills to pose and hang on to a position while the camera is being prepared. Their “addiction” to picture taking is tremendous. Well at least, that form of “addiction” is much better than being addicted to something else, if you know what I mean. Just take a look at Facebook. Facebook is the best social communication link ever invented. It is the haven for photos of people, and I would say that the Filipinos are the leading photo “hangers”, or “taggers”, “up-loaders”, – whatever word is appropriate – in Facebook. For each and every occasion, trip or event, you need not wait a day to view in Facebook photos taken at a party, in a trip, in an event, or anywhere for that matter. Facebook will just be repleted with photos taken just minutes after something important has occurred. This “addiction” though is harmless and is the “cleanest” form of addiction any person could indulge into, and its much cheaper, it is more fun and it gives a higher social status level to those who hang photos taken in places they have visited when it is outside of their country of origin. Filipinos are said to be “mababaw ang kaligayahan” (low-keyed on happiness level – literally translated) which means that anything for that matter makes them happy. It’s true in a good sense. Simple living is what most of Filipinos “advocate”, if I can put it that way. Contentment is easily reached with the acquisition of anything they did not possess before and that “thing” shall be treasured their whole life. Like the photos, they are “guarded treasures” for Filipinos, they are priceless possessions that are kept for the entire duration of their lives, and if possible, passed on to the next generation after next, until they are eventually forgotten in the nook and corner of their houses and only to be remembered when the moment of passing them to the next generation, has come. Please view our updates on Travels for Filipinos in Madrid section on our trip to Fatima on 15 August to celebrate the Assumption Day. Take a peek at the new entries we have in International Jobs page where you can search for NGO jobs. It could mark a difference in your professional career. Please visit my NEW, NEW page VISIT: SPAIN or THE PHILIPPINES!! !, and take a glimpse of what we can offer our Filipino readers around the world, and if any other nationality/ies is/are interested, we can definitely work things out for them as well. DON’T MISS THIS OPPORTUNITY!! Please visit my updates on ABOUT FILIPINOSAROUND page and learn more About this site and take a tour around the rest of the pages. 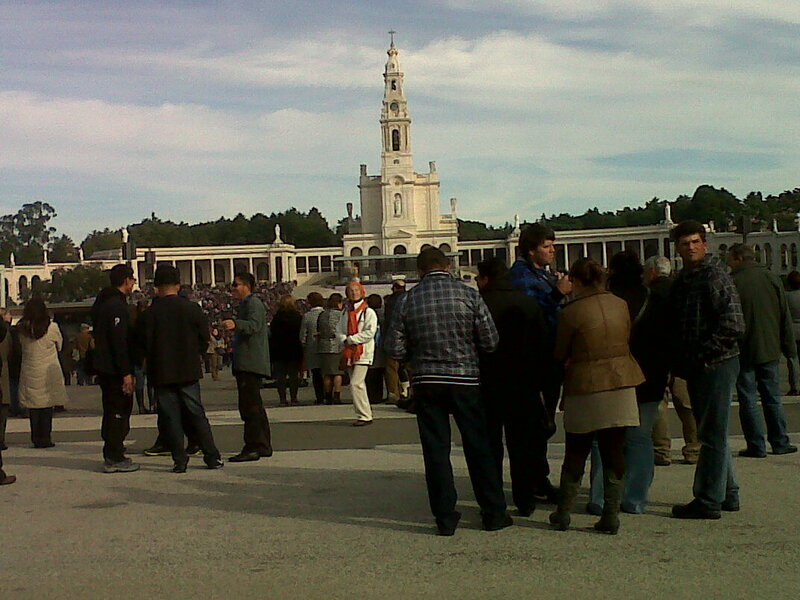 Please view updates in Travels for Filipinos in Madrid section about the Liturgical Celebrations on the Occasion of the Canonization of BLESSED PEDRO CALUNGSOD in Rome on 21 October 2012. See likewise our trip schedules for the Summer. IT’S TIME TO GO TO THE BEACH, BEACH, BEACH….and we are on to a great summer holiday! !.